Fashion / Gifts / Jewellery, Watches etc. As summer rapidly approaches I think it is probably about time I started preparing my wardrobe with beautiful, feminine jewellery and clothing that will have me looking and feeling great. I do like to have a mix of clothing but as you may have noticed from previous posts I am partial to dresses. I’ve always loved the boho hippie style dresses and skirts and finally I have the perfect pieces of jewellery to match them with in the form of two bracelets that are available from Majique. These cute pieces are highly versatile and go with most outfits. 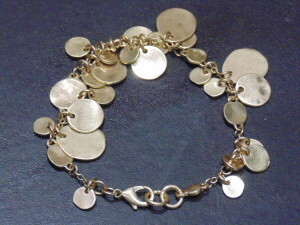 The first piece is this worn gold finish metal bracelet. It has a strong lobster clasp to allow for its weight although the bracelet isn’t particularly heavy, it is always a good thing to know that a piece of jewellery isn’t going to fall apart on you when you are out and about. I love the varying sized gold coloured discs on this, they remind me of moons which is why I thought that featuring it with this second bracelet would work beautifully. 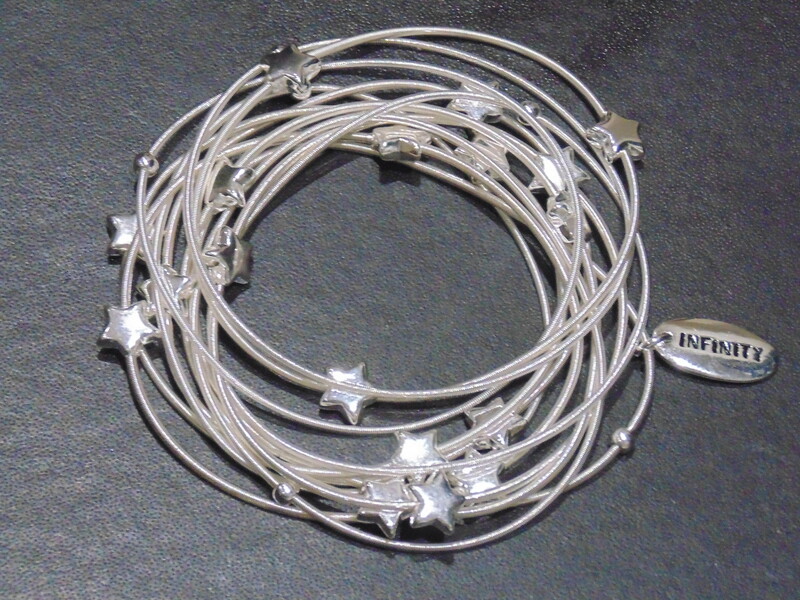 This pretty silver tone star bracelet is lovely. It is stretchy so simple to put on and is one of those pieces that is easy to wear on a daily basis. When styling these with an outfit make sure that the sleeves are not too long as you don’t want to cover the bracelet. Think about what colours you will wear them with as some are more complementary than others depending on the colour of the piece of jewellery you decide to wear. Various shades of green, red, orange, black and white go perfectly with this bracelet. 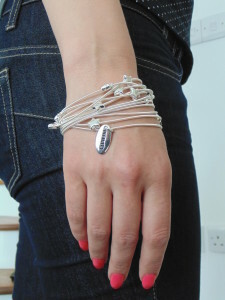 The silver bracelet is a bit more flexible in relation to what it will go with. I think that it would look great with these dresses (again from ASOS). Alternatively, style with some skinny jeans and a pretty top to create the perfect outfit for an evening out with friends. Both bracelets would make a great gift for ladies that love jewellery which is just about everyone. Make sure you visit Majique to order yours. Personalised Gifts You Didn’t Realise You Could Have Personalised! I am an absolutely adore the Maxi dresses you have shared from ASOS. I am a huge maxi dress fan! These dresses are so pretty and I thought they would be the perfcet choice to wear with the bracelets. I love the silver tone star bracelet, but then again, I also love the worn gold finish metal bracelet. Their jewellery is all so pretty and very reasonably priced too. They are both gorgeous, It’s really hard to chose between them which is why it’s simpler just to get both lol. Thanks Christine,I’m the same. I have tiny wrists and these bracelets fit well on me. Have fun looking at the website. Lovely. I always think boho style bracelets look great with maxi dresses, these match perfectly. I love the black lace dress and the long flower dress!!! 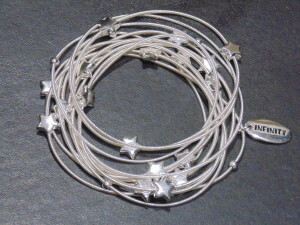 I also like the star bracellet. Very nice, these could make ideal presents, especially the silver tone bracelet. I really like the first black dress and the later floral one, they look really good with the bracelet!